You will receive an answer as soon as possible. Thank you for your trust. Thermal Transfer is the most widely used printing technology in the world for marking product identification and traceability data. Splash news! 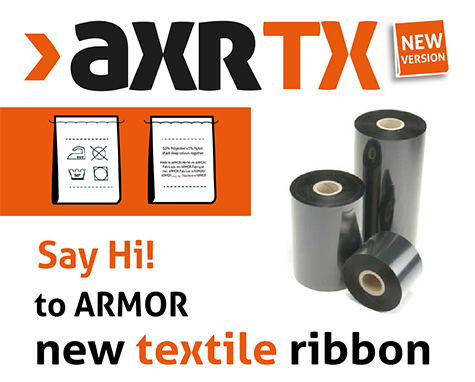 NEW VERSION OF THE AXR TX TEXTILE RIBBON ! New version of the AXR TX textile ribbon ! In a continuing effort to respond to the market and to ensure the highest possible performance, Armor has decided to launch a new version of AXR TX. Prints on all fabric label materials dedicated to thermal transfer (Polyester taffeta, Polyester satin, Nylon taffeta). Resistant to domestic laundering (machine washing, dry cleaning, etc.) and industrial laundering (including stonewash). Heat resistant (no transfer during ironing or steaming). Resists sweat and daily handling. Now compatible for Flat Head AND Near Edge printers. A better compatibility with fabric labels on the market. AXR TX is an ideal product for printing composition labels for clothing, as well as for all products with this type of label (furnishing fabrics, car components, stuffed toys, camping equipment, etc..). It is resistant to assembly and manufacturing processes as well as to the daily use of products. Samples are now available. Product launch date: immediate! Consult your usual ARMOR contact for more information or to try it out. AVERY DENNISON/FASSON receptors and ARMOR AXR 1 resin have successfully undergone UL and CSA testing. The American Underwriter Laboratory (UL) and Canadian Standards Association (CSA) have issued certification for these receptors. The certifications confirm that the ribbon/label combination meets US and Canadian standards. The CSA also takes the printer into consideration. All the following AVERY DENNISON/FASSON receptors are now approved by the UL for use with ARMOR’S AXR 1. 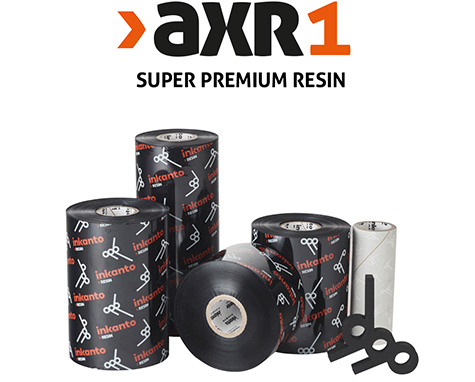 The AXR 1 thermal transfer ribbon is a premium quality resin ribbon for flat head printers. Discover inkanto ‒ a complete range of ribbons for all printer technologies. 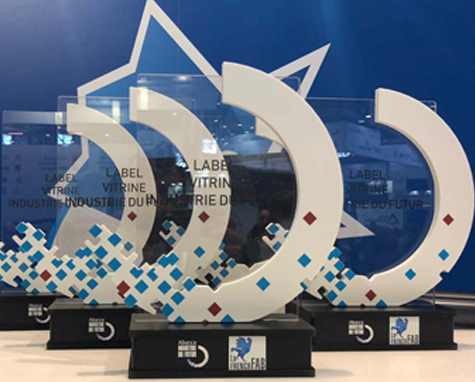 ARMOR was awarded the Industry of the Future Showcase trophy by the Alliance Industrie du Futur at the Global Industrie 2019 exhibition currently taking place in Lyon. This award recognizes innovating companies that have developed groundbreaking projects within their production processes, for a more modern and attractive industry. ARMOR is highly committed to innovation and has been developing a permanent process of automation and digital transformation of its industrial facilities. Within its production plant based in La Chevrolière (Loire-Atlantique), ARMOR has fully robotized the slitting process for inked polyester films. AGVs (Automatic Guided Vehicles) have been used in the production units to meet the increasing volume of workflows and to reduce the manual labor required for certain tasks. For these projects, ARMOR integrates its digital and industrial robotics systems internally "The objective of the program is threefold: to support a fast-growing and competitive market, to reduce production costs and to ensure that the core business continues to be located in France”, explains Christophe Derennes, ARMOR's Industrial Director. To support the skills development of its employees, and to meet new training needs, ARMOR has developed bespoke programs through the ARMOR University. Since its launch in 2011, more than 200 employees have been trained and have acquired new skills. This ambitious and continuous program of the automation and digital transformation of its industrial facilities has seen ARMOR strengthen its position as global market leader with a growth rate that is twice as fast as the market on a like-for-like basis. “I am very proud to see ARMOR receive the Industry of the Future Showcase award. We are committed to maintaining a promising future for this industry in France through our many technological and digital innovations", stated Hubert de Boisredon, CEO of ARMOR. I accept to receive information about ARMOR Thermal Transfer products and services. 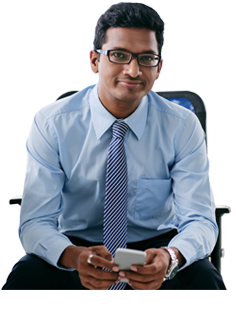 For the protection of personal data, please consult the Article on the Protection of personal data of the Legal notices.